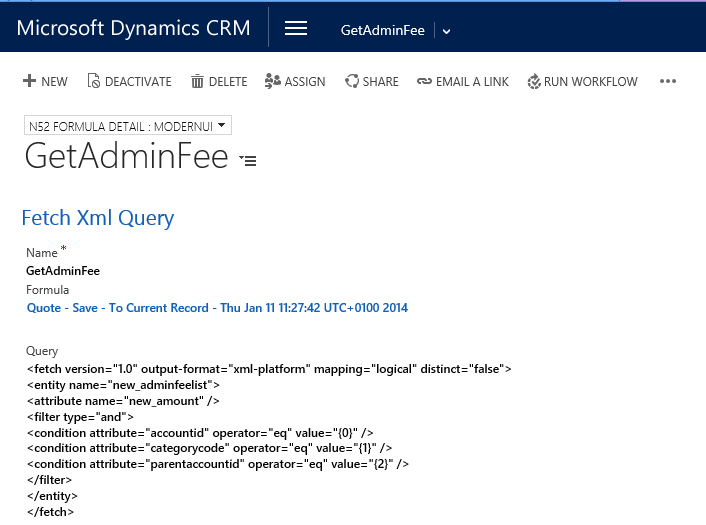 In this scenario we have a custom field on the Quote entity called Admin Fee. This field must be populated whenever a Quote is created. The CRM system has a custom entity which stores all the admin fees by Account, Category and Parent Account. 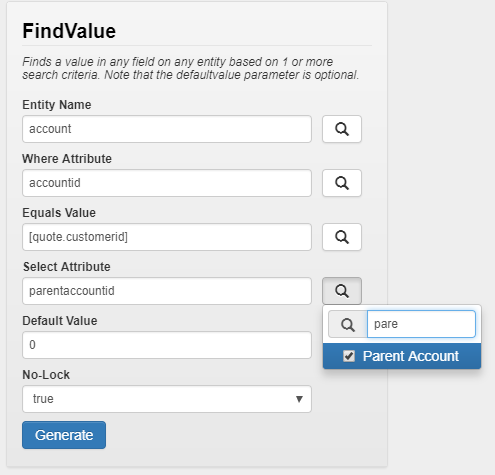 We need to write a formula which will populate the Admin Fee field on the Quote during creation. If no Admin Fee is found then we need to set a default of zero. 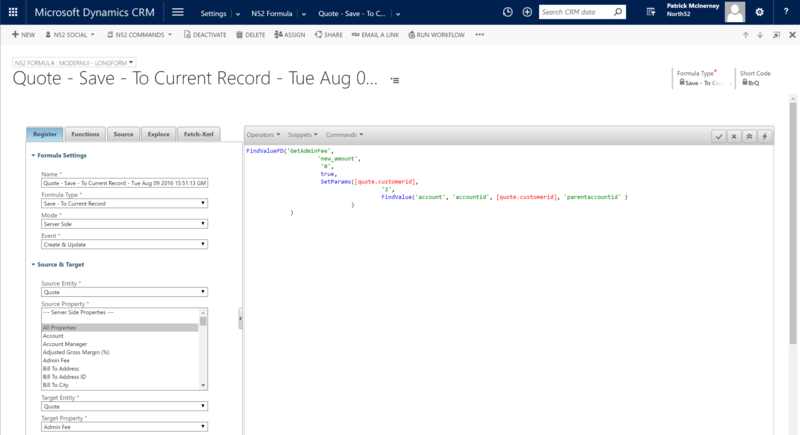 Note to find the value for Equals Value, you will need to go to the Source tab and search for "customer"